At Inviare your questions and concerns are of the utmost importance to us. Your satisfaction is our priority! A member of our Customer Service Team is ready and on standby to assist. Please submit your question in 600 characters or less. I agree that the information submitted above is accurate and that Inviare can contact me using the submited information. Can I ship mail, catalogues, magazine and other similar printed subscriptions with your service? How often are shipments sent to St. Kitts? How long does it take to receive shipment after it arrives? What is the maximum package size I can ship? I don’t have a credit card. Can you pay on my behalf? What are Hazardous or Dangerous Goods? The weight from my supplier is different to what you say. Why? 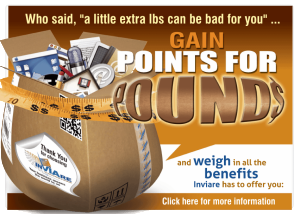 What is the weight or size limit can I ship using my personal PO box? Do I receive notification of my cargo arrival? Can I pick up my packages? Do you deliver to all locations in St. Kitts?